Valerie Alexander, CPP, has many years' experience in the payroll industry working in various capacities from payroll processing, payroll tax compliance, CA wage and hour compliance, and Human Resources. 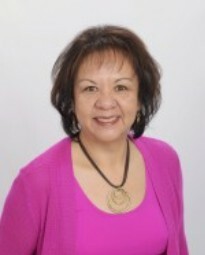 Valerie has been a Certified Payroll Professional with the American Payroll Association since 1998. Valerie is a multi-disciplined professional with a solid background in payroll management and has a record of success in diverse high-pressure business environments. She is an effective leader and communicator with the ability to build loyal teams and boost morale using a positive, staff-empowering management style. She is a successful public speaker with the American Payroll Association's National Speakers Bureau, ADP’s Meeting of the Minds and the California Payroll Conference. In addition, she is an adjunct professor with Sacramento City Junior College in Sacramento, CA, teaching Payroll Accounting. She is author of The California Payroll Guide, Wolters Kluwer’s, Aspen Publishing Valerie's specialties include management reporting, forecasting, and Sarbanes-Oxley business controls. She is experienced in Global Payroll operations, mergers & acquisitions, payroll best practices, payroll performance metrics, electronic filing, multistate taxation, non-resident aliens' taxation, payroll for expatriates, project implementation, and shared services implementation and processing. Valerie is currently putting her talents to work running payroll operations for McClatchy Newspapers, a leading news and information provider dedicated to the values of quality journalism, free expression and community service.